This is just a fun game that will test your ability for accuracy and quickness! 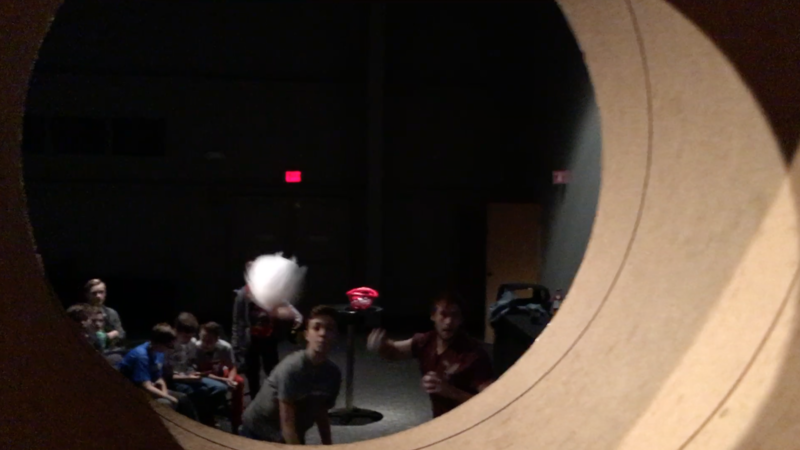 By throwing a fake snow ball you will attempt to knock out inflatable balls from the cylinder tube they sit within. Tubes. We went to a local carpet manufacturer and ask if we could have some of their old carpet tubing and we cut them into 1 foot sections. We then glued three of them together on their sides. This allowing us to stack them in different ways and use them in different ways. We have used these for welcome center backdrops, stage designs and many games. It is worth the time to construct some of your own! Small Beach Balls. We found small beach balls about 6 inches in diameter that fit perfect in our tubing. Check THESE out! Fake Snow Balls. Really any type of playpen ball will work here as well. We purchased some of THESE and have used them for many games over the winter. Plus what kid wouldn’t want to throw a snow ball inside. 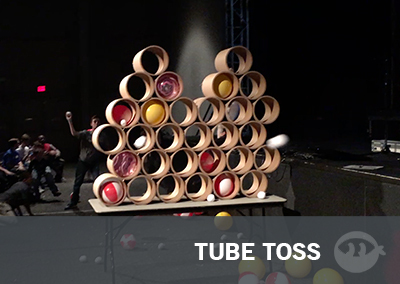 You will want to set up the cardboard tubes on a table in between each teams side. Stack them as high as you can based on how many tubes you have. Inside each tube place one inflatable ball. About 10-15 feet from the tubes place a line of tape of the floor. This will be the line all players must stand behind while throwing. 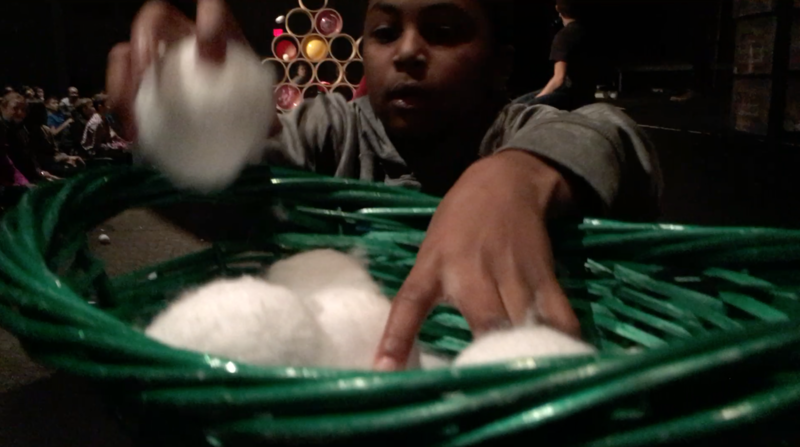 Place all your snowballs (or playpen balls, whatever you end up using) in a basket behind each sides tape line. I think why I love this game so much is because both teams are throwing in the same direction at the same target. The longer you get into the game the more of the other side and team you begin to see. This only raises the level of competition. Each team is comprised of two players. 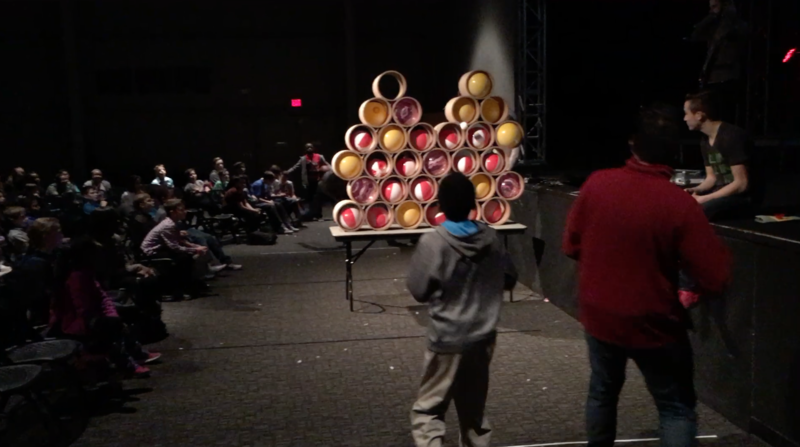 The teams main objective is to knock out as many inflatable balls from within the tubes using only the fake snowballs. They must throw from behind the tape line and can only throw one ball at a time. Teams may retrieve more throwing balls if they run out but are not allowed to throw them until they are back behind the throwing line. At the end of the 60 second round count up how many inflated balls have ended up on each side. The side with the most balls on their side loses.